When it comes to growing your small business, having the right tools in your command is essential. One hour of planning saves four hours of execution. Being organized and having your team on the same page can be the key contributing factor to your success. Once your team works at its best efficiency scaling up your marketing and sales efforts becomes fun. In this article, I’m going to introduce you to some of the best tools to grow your small business. You can get started for free with most of them. Naturally, you would see Fleep team communication chat app in this list. 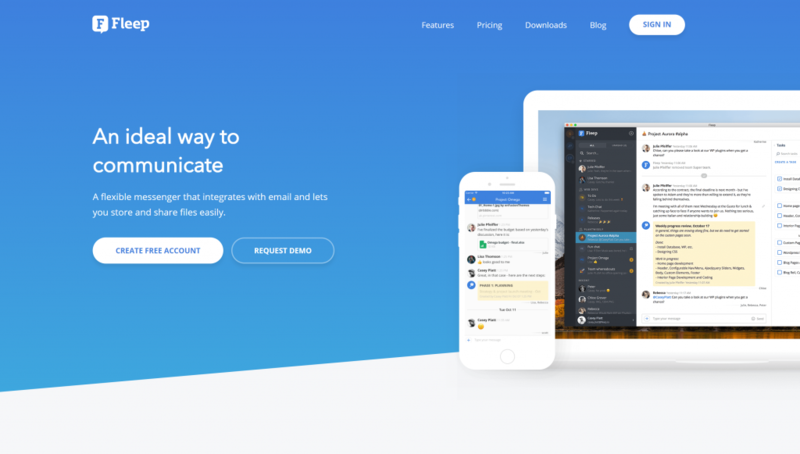 Fleep is one of the best team chat apps out there and it’s super easy to get started with. It has wonderful native features like task management, ability to pin messages and share files within each conversation. This makes it one killer team collaboration app. Fleep works right out of the box and doesn’t have any complicated on-boarding process. You can start using it for free. The main advantages Fleep has over its competitors like Slack, Microsoft Teams and Flock is unlimited chat history. You can have as many messages within your team as you want and they’ll always be there. If your team grows and you need more features like team management and additional disk space for your files, then you can upgrade at a competitive price of €5 for user per month. P.S. Here’s a list of alternative chat apps you can try out, should you not want Fleep as your main team chat. I would love to get your feedback though if that’s the case. Comments are wide open, don’t hold back. It doesn’t matter what type of business you run, you need to manage your files and you need cloud storage. Sending files back and forth over e-mail with colleagues is not how new small businesses should run their things these days. Keeping your documents in the cloud and having the ability to collaborate and edit them together with your team in real time helps you become more productive and gets more work done. Now, the reason why I love Google Drive over OneDrive, DropBox and other similar cloud solutions is the richness of the features Docs, Sheets, Forms, Slides and other tools offer within Google Drive. 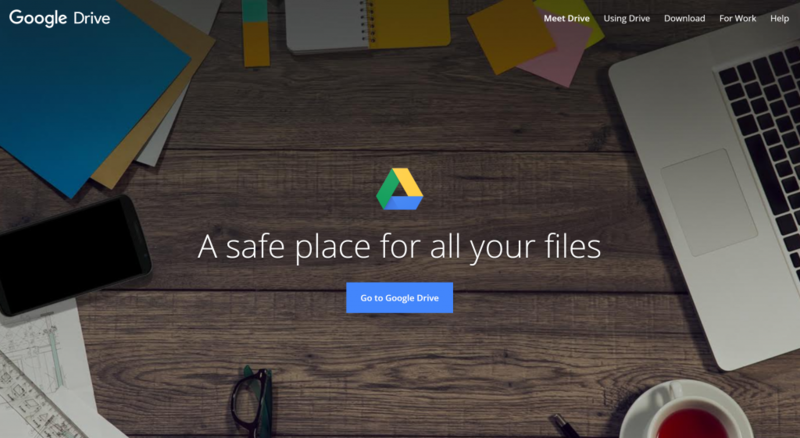 Google Drive is free to start with. The free version comes with 15 GB free space which is more than DropBox offers as of writing this article. Moreover, you don’t need to break the bank should you run out of disk space and need the upgrade. The pricing is definitely a lot more favorable for Google Drive when compared with Dropbox or OneDrive. Pro hack: create a new Google account for your business and assign it to be the owner of all the files. This is how you save space and when you do need to upgrade you only upgrade one account for your entire company. Being able to plan and then execute your daily tasks can play a crucial role in your business. Now, while regular task lists are all fun and great, I’d recommend using your calendar as a to-do list. Plan out all activities, not just meetings, throughout your day. Dedicate chunks of your time to execute them. This way you’ll always know what you can achieve during the day and what you can’t. This is a great way to keep you focused and motivated. Obviously, Google Calendar isn’t the only calendar out there. However, if you already went with Google Drive it would be easy to use calendar with the same account as well. Pro-tip: Plan time for “unforeseen activities” in each day. I usually have set my 9-10am as “reactive to anything” and just before I leave the office I also like to spend 30 minutes on responding to some emails, chats etc. Other times I ignore instant attention grabs and only focus on what I had planned in my calendar. 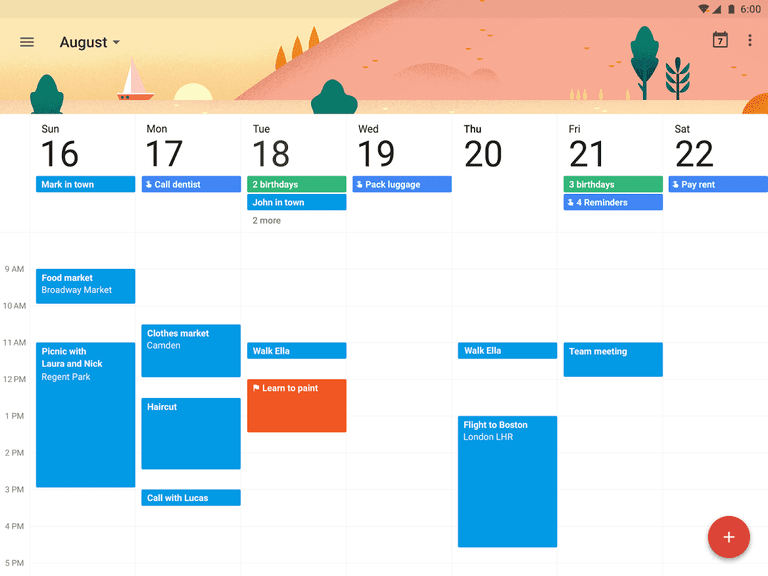 Sometimes you need more than your day to day task management with calendar. That’s where Trello comes into play. Trello is a free to use tool that helps you visualize different task flows you might have. It can be your sales funnel, marketing experiments testing board or scrum-like process flow for your development team. The best part about Trello? It packs a ton of value for free. They are all somewhat different in the way they look, but the functionality is very similar. If you just want simple day to day task management, then you can also stay with Fleep tasks and get the job done. When things need to be precise, a time tracking tool comes in handy. If you’re working with clients and you’re billing based on the hours you spend then you need a tracker. 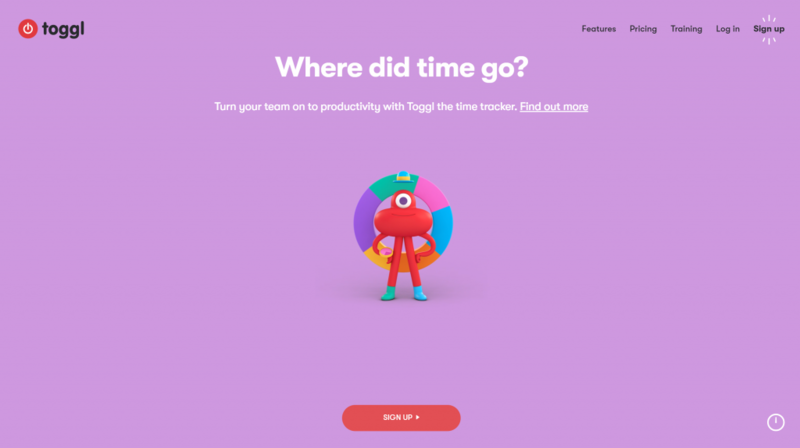 Time tracker can also be used as a team motivator. Make everybody see how much time everyone spends on doing similar tasks and have competitions in your team to be either the slowest or the fastest worker. Even if you’re not billing for your services based on time you actually spend, it’s quite useful to track this for yourself to see where you spend the most time and what is your actual hourly rate. As an alternative you can try out Time Doctor. 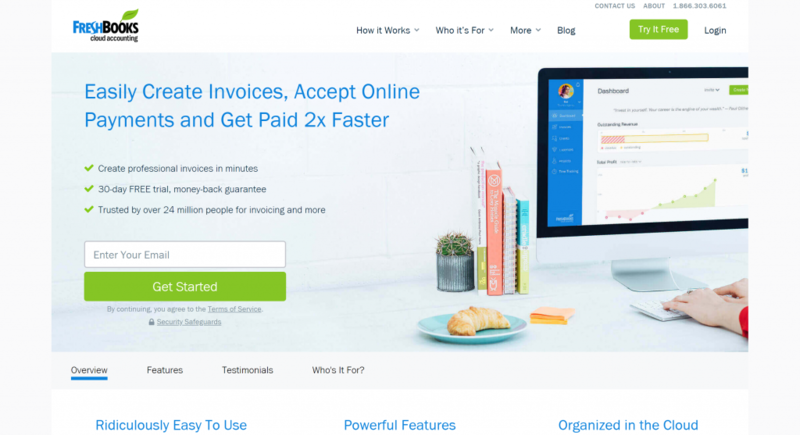 When it comes to accounting and invoicing, Freshbooks is probably one of the most known software out there. Don’t spend your time on composing these perfect looking word document invoices. There’s a better way. With Freshbooks you can send your invoices, track them and also make the process of reminding clients about overdue invoices a lot more comfortable. On top of that, your customers can take your invoice and immediately pay it with their credit card. Freshbooks isn’t free, but I figured since you’re sending out invoices and making money you probably don’t mind spending the price of few cups of coffee per month for it. 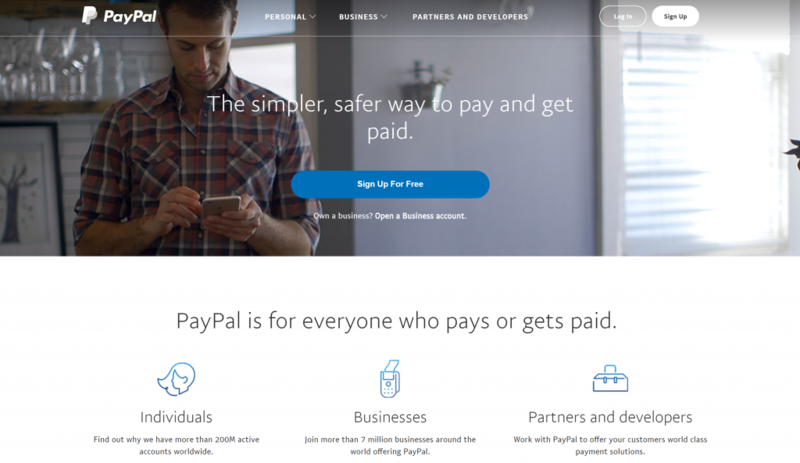 Another simple tool to start collecting money from people is PayPal. You can either add buy buttons into your landing page or send out invoices directly from the platform. I like PayPal mainly because of its ease of use and setup. Either you want to collect recurring fees from your clients or simply validate your new startup idea with a simple add to cart button on your landing page – PayPal does all that. It’s perfect for business in any size. 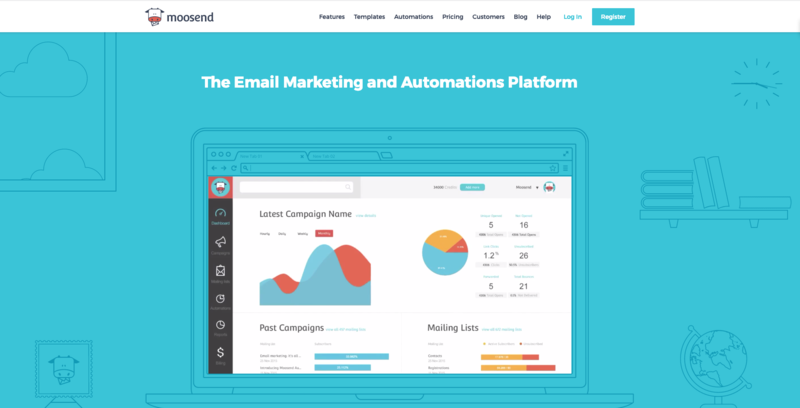 Moosend is an award-winning Email Marketing and Marketing Automation platform that has managed to incorporate a user-friendly interface with advanced features in one platform that will not break your bank. It offers an intuitive drag-and-drop campaign editor where only your imagination can stop you from creating that perfect newsletter! Additionally, Moosend offers real-time analytics and advanced list segmentation across all of their plans. This way, you can always be sure that you target the right audience. Finally, Moosend offers a “forever free” plan for up to 1,000 subscribers that allows you to send unlimited email campaigns which makes it a great MailChimp alternative. And if you exceed 1,000 subscribers, Moosend offers subscription plans for as low as $10/month alongside with great customer support via live chat, email, and phone calls. For marketing people it might seem like common sense, but if you never had a full-time marketing person in your team or you’re still starting with your venture then you might overlook the importance of having web analytics. Whenever you launch campaigns or do something to get people to your website, you need to analyse your results. Firstly, it’s important to know your visitors’ intent and also to see what they are clicking on the website and where they might be getting stuck. E-mail marketing is still by far one of the best marketing channels. It’s cheaper and has great ROI. However, if you’re not segmenting your database of customers or leads, you’re not fully taking advantage of it. To get started I’d suggest setting up a MailChimp account. Once that is done sync it up with your website. This allows you to capture e-mail from your website and start sending them valuable content until they are ready to buy. The great thing about MailChimp is their competitive pricing. Up to 2000 contacts is free, which is one of the best offers on the market. When it comes to your CRM, Hubspot is probably the most comprehensive solution for a business in any size. Hubspot features aren’t free nor are they cheap. However, you can get started with the CRM functions for free. Why would you need a CRM, you might ask? Great question. To be honest not all businesses need it. 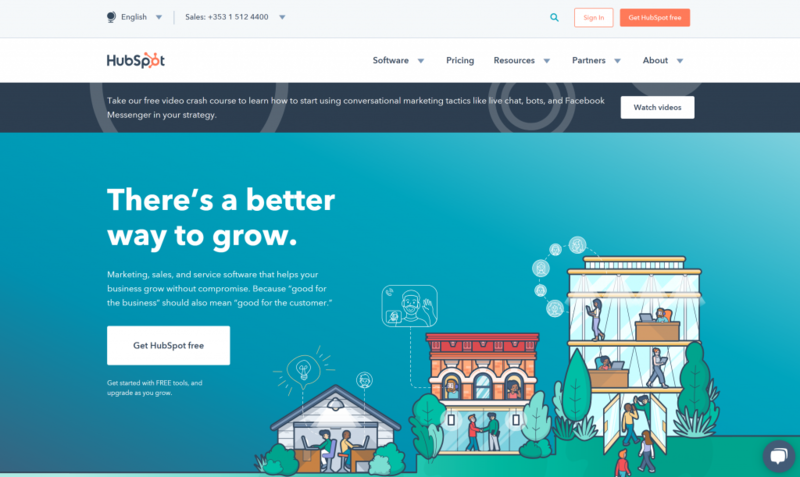 If you have a SaaS product, for example, or you just work with a lot of end consumers and you don’t necessarily need to keep a track record of activities with your customers, then using CRM like Hubspot might not make sense. However, if you’re in B2B sector, having a CRM can really make or break your business. Hubspot also has sales funnel functionality in their core CRM. Your sales person or team can track the progress of your leads and you can estimate your earnings from new leads. It’s a wonderful tool. Let’s talk about live chats. There are multiple options to choose from. My second best suggestion would be Facebook Messenger live chat. However, with Facebook Messenger we have to assume that the person who wants to chat has a Facebook account. Who doesn’t these days, right? I recommend Drift over Facebook because of the way it looks. If design and customization isn’t huge for your business, then you can choose from other options on the market. 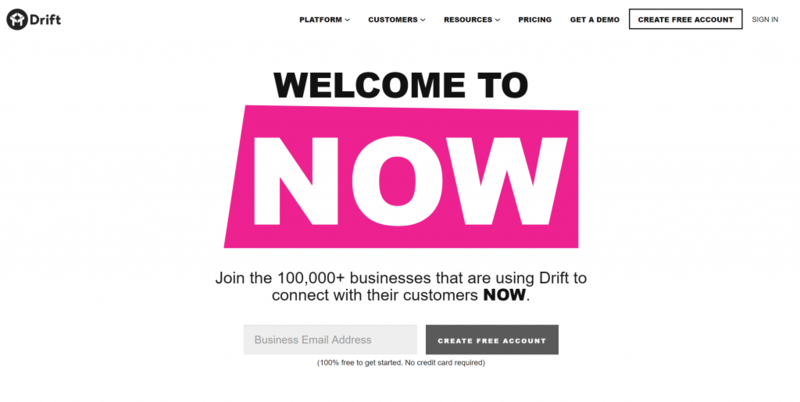 Drift doesn’t have fancy bot automations in their free plan, like you would be able to do with Facebook Messenger, which is not great, but if you’re just starting out then it might not even make sense to start automating your communication immediately. Live chats in general are becoming more popular. People spend more time on websites and they want super fast, high quality customer service on the spot. If they don’t get an answer from your website they will leave. Offering a live chat to them can retain a lot of the people who otherwise might just leave. I definitely recommend taking advantage of this. This is more like a community rather than a tool. Nevertheless, if you haven’t heard about this you’re probably going to fall in love. 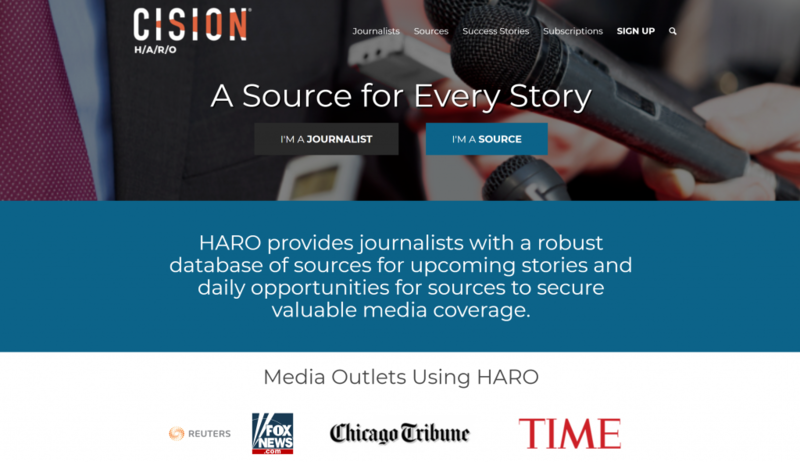 HARO brings together journalists and sources (potentially you). It helps journalists to find new interesting people who can help them in writing an article. On the other hand if you’re looking to get PR for your business and you don’t want to hire expensive agencies or freelancers, then this is where HARO helps you. You need to create an account and subscribe yourself to relevant topic feeds. You’ll start receiving emails every day of journalist queries. If there’s anything that resonates with you, take 30 minutes out of your busy daily work and draft up a pitch for that journalist. Your pitch should reflect the query. Sometimes journalists want to get expert opinions, sometimes they want to do interviews with the founders. You shouldn’t overly promote your business, that’s never going to work. But be genuine and give valuable insight. You’ll get a backlink to your business and power PR mention. These journalists sometimes write to media outlets like Forbes, Techcrunch, Mashable etc. If these are places where you’d like to get mentions of your company as well, then start monitoring the HARO feed like I am. Apart from the free tools for small businesses I listed above, there are some paid tools that I also recommend testing out for your business. The reason I recommend them is that the value you get for a small investment is absolutely worth it. If you’re still starting out your small business you have probably two problems – little money to invest and not enough customers. You need to be smart about picking your marketing channels. My absolute favourite is getting search traffic to your offers and blog. Now, there are two main ways of doing that. You can either put together outstanding content and build backlinks to it. Essentially this is the SEO (search engine optimization) process. It takes time. Impact is big, but to get there you need patience. What I recommend to start with is search ads. Commonly run through Google Ads (formerly know as Google Adwords). With Google Ads you can show your offers to people when they are searching for it. It’s a great marketing channel as people are already looking to solve a problem they have or buy a product they need. Buying banner advertisements on different websites might not be very targeted and you could just burn money without much return. I’ve personally seen very good results with Google Ads. Google often runs campaigns for new advertisers as well. Usually, you’ll be offered $40 – $100 credit after you’ve spent your first $10. This depends on your country where your business is registered. Another wonderful tool for your sales team or just relationship building in massive scale. 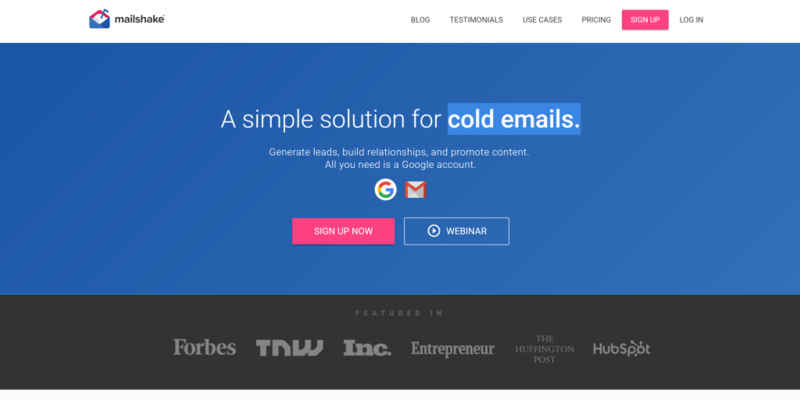 It works well with your Gmail account and makes cold email automation a breeze. All businesses are built on new relationships. Sounds like an obvious business quote you’ll find on your motivational posters. If you want more business you need to build new relationships. Make a list of all the businesses/partners/clients you want to build relationships with. Write awesome e-mails that you’re going to send them. Generally, it’s recommended to keep the emails short, sweet and to the point. Short emails work really well. Forget about writing long pitches and highlighting features of your product. There are a lot of free tools for small businesses that help you run things smoothly. Some low priced tools can really make a difference in terms of saving you time. As a small business owner, your time is your most valuable asset. If there’s something you can outsource or delegate and focus your time on things where you provide the most value, then you should take these opportunities every day of the year. 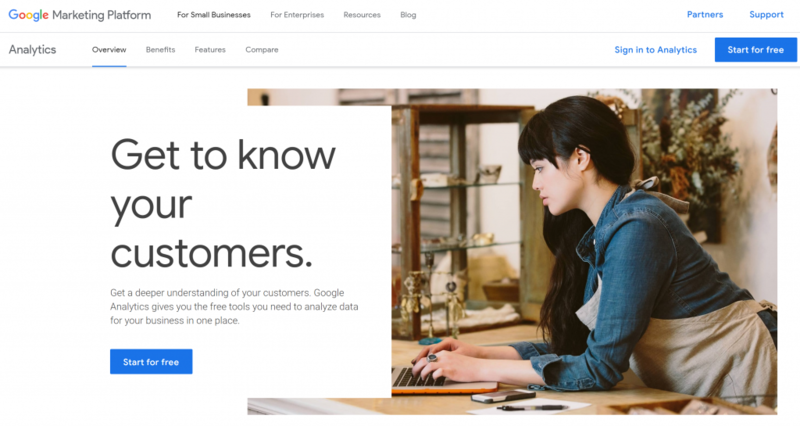 We will be updating this article now and then, so feel free to bookmark this and visit it again in the future to get new ideas of what tools to use for your small business. 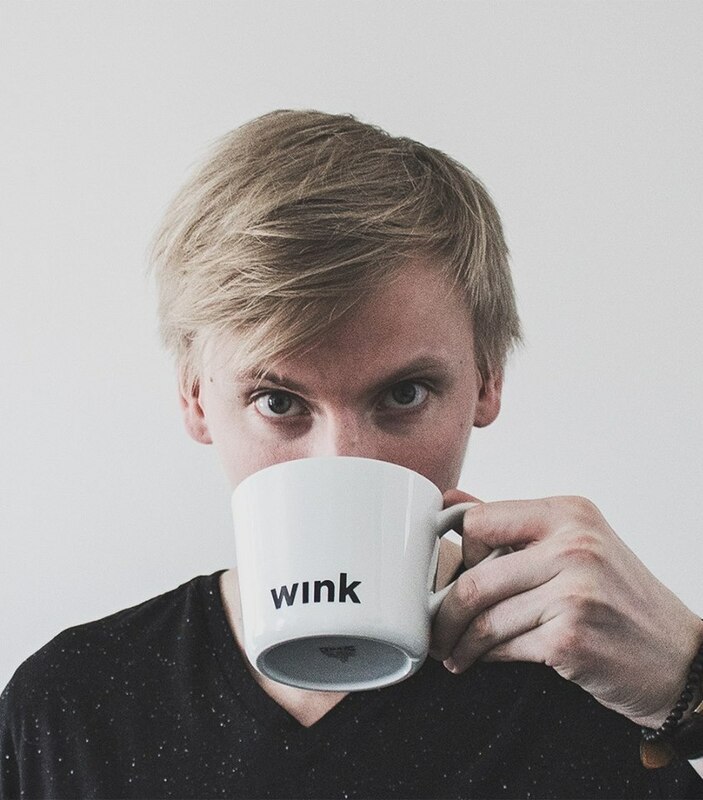 Johannes helps small businesses with their online marketing challenges and writes about Instagram marketing for his blog GettingGrowth.com.